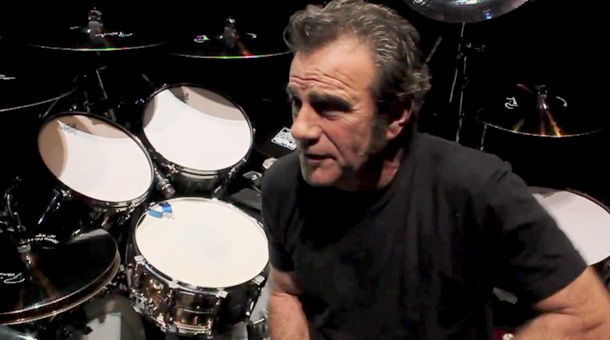 Bon Jovi drummer Tico Torres was rushed to hospital again last week and will undergo his second stomach surgery in a fortnight, the band have confirmed. The 59-year-old underwent an emergency appendectomy in Mexico earlier this month, although he tried to persuade doctors to let him play that night’s show before they went to work on him. Now his band report he experienced severe abdominal pain following that incident, and it was found he required gallbladder surgery. Torres adds: “There is nothing that can prepare one for a medical emergency – but I have been taken especially good care of. I’d again like to thank all my doctors and health care professionals. Rich Scannella, the drummer in Bon Jovi’s side-project The Kings Of Suburbia, will stand in behind the kit until Torres is fit to return. Meanwhile, guitarist Phil X remains on stage in place of Richie Sambora after an unspecified disagreement between he and Bon Jovi saw him leaving the tour in April. The axeman had speculated the issue would be resolved by this month.